Some would argue that the old Pavilion, Brooklyn’s most notorious pit of bedbugs and worse, died a long time ago, well before it was closed in 2016. 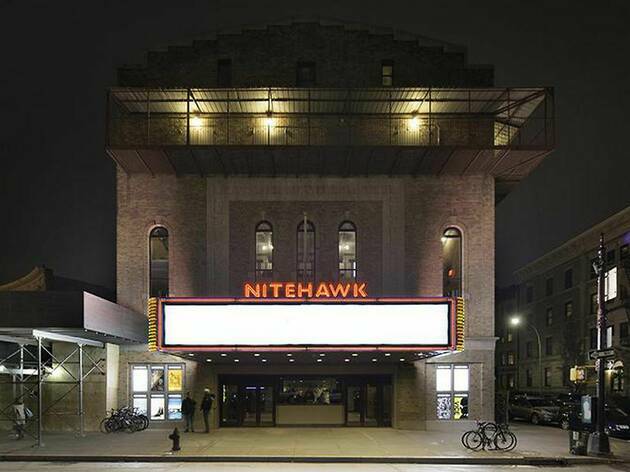 But Nitehawk’s one-and-a half-years-plus gut rehab has produced a new space, home to seven state-of-the-art theaters capable of digital projection and 35-millimeter presentations. “It was a complete wreck,” Pina admits (he’s being diplomatic). “But we did a lot of beautiful work on it.” The largest theater has 194 seats, bigger than the Williamsburg location’s three screening rooms combined. Attendees should expect a venue that’s more family-friendly than its cooler forebear. At least initially, Nitehawk Prospect Park will focus on a tightly curated selection of first-run titles, like the all-ages Mary Poppins Returns. But the brand’s famous in-theater dining will definitely be a part of the mix, along with those glorious tater tots and cocktails. 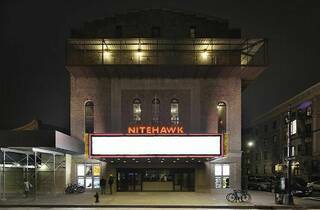 Ironic and inspired: Nitehawk Prospect Park joins Metrograph, Alamo Drafthouse and the recently refurbished Quad and Film Forum in a recent wave of local recommitment to the theatrical experience, a new golden age for NYC cinephiles. Streaming is well and good, but if you love going old-school (and going out), you’re living in the right city. Nitehawk Prospect Park (188 Prospect Park West, nitehawkcinema.com/prospectpark) is now open.